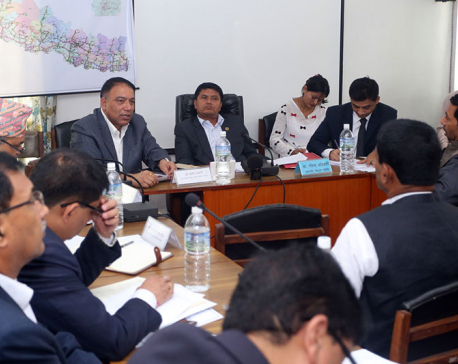 KATHMANDU, July 9: The government passed a master plan that prohibits child labor in all work sectors on Sunday’s meeting of the Council of Ministers. As per the master plan, the use of children as domestic helpers, porters, farm workers, in collection and trafficking of narcotic drugs, in the carpet weaving, embroidery and hosiery, in brick kilns, in mining sector, in the entertainment business (including sexual abuse), and in the transport sector has been prohibited. Similarly, the use of child labor has been banned in foreign employment sector, in the mechanical and chemical industries, construction sector and hotel and restaurants and as beggars, street vendors and medicinal herbs collectors. All these forms of child labor have been declared serious crime and draw maximum penalty in case of non-compliance. The master plan has also brought the strategy of reviewing the policy, laws and institutions related to prevention of child labor, of creating a strong and conducive environment through programs aimed at enhancing the capacity of stakeholders working in the child labor prohibition sector and of regular monitoring, search, rescue and rehabilitation of victims of child labor as well as rehabilitating them in society through targeted programs. The master plan has provisions for implementing programs for the prevention of child labor and for providing the required support to the family of children at risk of child labor. It also has strategy of establishing collaboration, coordination and network among the stakeholders. The master plan has named the federal level, local level, province level, civil society and non-governmental organizations, the media and IT sectors, the business and private sector and trade unions as the responsible bodies to work for prevention of child labor in the country. The main goal of the master plan is to put to an end all forms of child labor in Nepal. It has also set the target of banishing the exploitative and worst form of child labor until 2022 and all types of child labor until 2025.